A big welcome to all you SITS users and colleagues at the University of Bradford interested in our SITS Recoding project update. Since August your SITS Training and Support team have been working together with other SITS experts at the University and the consultancy team from KPMG. As a group of subject matter experts (called the SME team) we have been working hard to design how new structures can be brought into SITS and improve how we use our student records system. Outlined below is an overview on what we have designed, ready to start building and implementing for the start of the 2016/17 academic year. We started the project by getting groups of people together to guide us along the journey and put everything in motion. As stated above, a subject matter expert team worked together to look at the SITS system alongside the KPMG consultants and Tribal, the company who own the SITS:vision software. 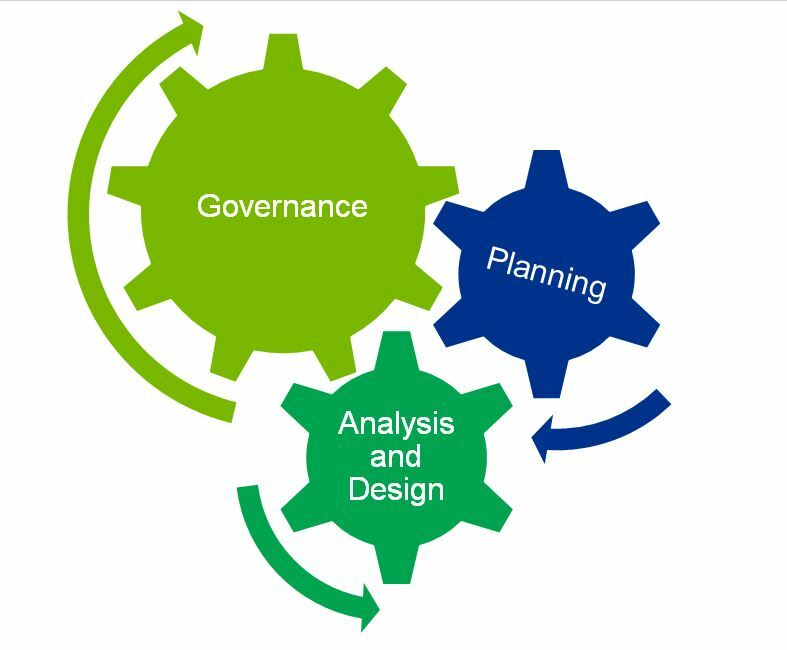 We needed governance so a SITS Design Authority was created, with high level representatives to check through our findings and proposals. The Authority provides the SITS coding project team with design assurance and guidance. Armed with a high level plan involving design work up until Christmas, we started working on designing the system looking at key areas: Courses and all the various records around them; Modules and how they were structured and linked to students along with downstream systems like Blackboard. Plus the bigger picture, to see how students flow from one academic year into another for all different ways they can study, and the times of years they can start. With these foundations in place, we have been able to design a number of coding solutions to achieve our goals of improving our student records system. Depending on where you work the above names may mean different things to you, but the overall understanding should be that these represent what a student is studying with us at the University of Bradford. For SITS purposes, the lowest level here is called a Route and this is what the student would be most interested in, for example. “BA Graphics for Games”. Above this in SITS are groups of routes called a course, but on review we were putting too many routes into one course “bucket” leading to cohort management issues, particularly for part-time students or those not starting in September, along with other problems around reporting. Consistency was also an issue here so a redesign, recode and restructure was the best course of action so routes can be grouped in much smaller numbers with a logical design based on a subject area rather than a department or location. 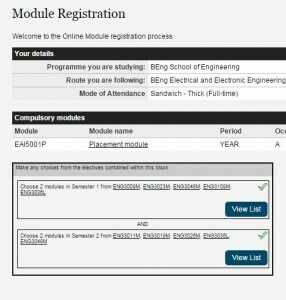 Strangely a module is not directly linked to a course within the records system. They are their own entity and need a member of the faculty admin teams to add them to students. This is done using a system called a student module diet which was something we were all keen to explore in more detail for a number of reasons. With the correct module structure, modules could be far simpler to apply to a student rather than the overly manual process we use now. We have designed a new coding and organisational structure so that numerous functions can now work. In the new world… for new students that come to enrol, the majority will have a system that automatically generates their modules early, with only exceptional cases requiring manual intervention. The majority will simply be allocated as they switch from being an applicant to a student. 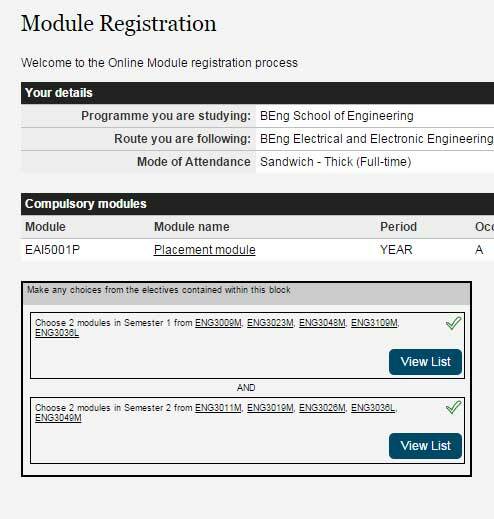 For continuing students who have options, we will finally have the correct structure to use a web based module selection tool, rather than emailing forms and inputting their records manually. This system will not only give them their compulsory modules, but it will also let them choose their optional modules based on a set of rules governed by the faculty, such as credit limits and pre-requisites. This means that students confirm their own modules which are generated the moment they complete the form. Plus these can be completed during the months prior to the start of the next academic year in readiness for them returning. Obviously when a student studies a course and takes modules, they want to get through their year of study and move onto the next until they finish. With our structure as it is now, it’s difficult to manage and find cohorts of students, so we have looked at the way people can attend courses based on what part of the year they start in, how they are attending and how long it should take them to complete their course. Plus, we of course need to factor in the responsibly to HESA reporting when one academic year changes to another on the 1st of August. Without giving too much detail (this area has been known to cause headaches), we will structure the system with monthly intakes for courses to manage students that start outside of the standard September start. Plus we will have proper stages for all attendance types like part-time and placement students, along with more automated features that support the HESA change over without the need for manual intervention. 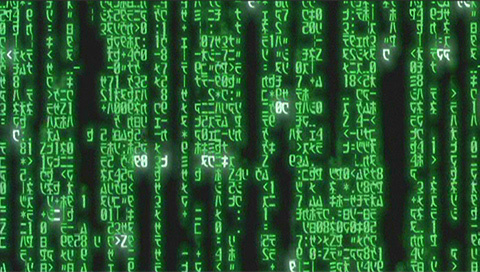 One thing that most people would know if they have ever logged into SITS is: there are A LOT of codes, particularly ones that relate to students! Part of our plan has been to look at these in detail and, considering how long we have used the system, there are a number out of date and some that can be used better, so we have made an effort to really tidy the number of codes used for student status. There have also been a number of departmental changes to the University so we have been working to ensure these reflect our current structure. Finance is also impacted by these changes allowing the team to more efficiently generate student fees. Following approval from the SITS Design authority, we are now entering the build phase and creating what we have designed within a separate version of SITS that will be implemented in July of 2016. The transfer of students onto the new coding structures will be done as students’ progress from one year to the next, minimising the impact as much as possible for them. We will be working hard in the coming months to implement these changes. We will begin with Modules as these are our priority. There is a lot more coming up from the project and we will update you on the SITS blog as regularly as we can. Providing progress and training updates. You will have hopefully seen the communication pack. If not please get in touch. The training plan will be made available soon. You will hear more from us in the New Year, have a wonderful Christmas!